The 4th Circuit Court of Appeals upheld on Thursday a nationwide preliminary injunction on President Donald Trump's travel ban. 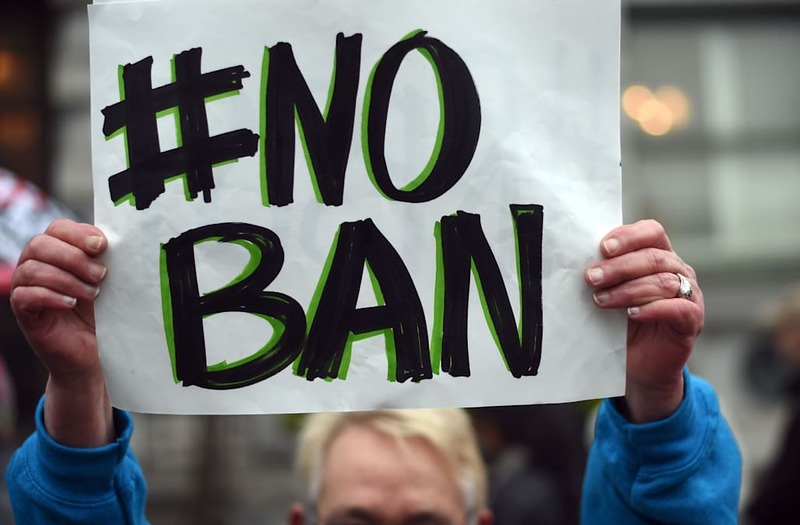 A majority of judges on the appeals court in a 10-3 decision said they were "unconvinced" the travel order had more to do with national security concerns than a "Muslim ban." The decision, written by Chief Judge Roger Gregory, described Trump's executive order in forceful terms, saying it uses "vague words of national security, but in context drips with religious intolerance, animus, and discrimination." "Congress granted the president broad power to deny entry to aliens, but that power is not absolute," the published decision stated. "It cannot go unchecked when, as here, the president wields it through an executive edict that stands to cause irreparable harm to individuals across this nation." Trump's March 6 travel ban targets six Muslim-majority nations -- Libya, Iran, Somalia, Sudan, Syria and Yemen. The order barred people from those countries for 90 days. Attorney General Jeff Sessions issued a statement in response, saying the ban falls within the president's powers and the Department of Justice will take the issue to the Supreme Court. "President Trump's executive order is well within his lawful authority to keep the Nation safe...As the dissenting judges explained, the executive order is a constitutional exercise of the President's duty to protect our communities from terrorism," the statement said. "This Department of Justice will continue to vigorously defend the power and duty of the Executive Branch to protect the people of this country from danger, and will seek review of this case in the United States Supreme Court," it continued.